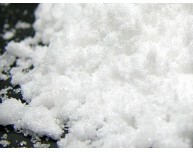 Terbium (III) acetate, also known as terbium acetate hydrate, is one of the terbium compounds. It is water soluble. Please send us your inquiry for Terbium(III) Acetate Hydrate and other Terbium chemicals to sales@edge-techind.com.